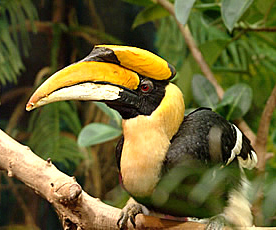 management and by using exhibition of birds to influence public opinion to favor conservation activities. The order Coraciiformes includes many species that represent some of the most colorful and unusual bird families in the world. The order is named after the rollers of the family Coraciidae. While each family within the Coraciiformes can be defined rather clearly, relationships between the families (and which families to include in the order) are more difficult to ascertain. This also means that the exact criteria for membership in the order are difficult to define, due to the diversity of form and behavior spread across such variable families. The Order Coraciiformes is divided into four suborders and ten families.